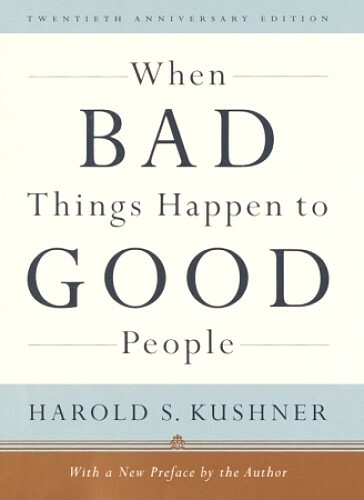 Harold Kushner begins this particular chapter with a question: Why do bad things happen to good people? He argues that the pain and suffering caused by the untimely demise of the loved ones inevitably brings doubts about the goodness, kindness, and even more in the existence of God. But people throughout the history have been trying to justify the world’s suffering by holding themselves responsible for the punishment of their sins. By doing so, people maintain the attributes of God as benevolent, omnipotence, and who is also in control. People are advised to avoid sin and be good. “It is tempting at one level to believe that bad things happen to people (especially other people), because God is a righteous judge who gives them what they deserve. By believing that, we keep the world orderly and understandable.” Nevertheless, their lives are already hurt by tragedy and no religious and pious explanation could comfort them. Further, the retributive theology tries to provide resolution for the problem of evil. We somehow can tell people that God has let this happen with a hidden purpose, yet it cannot comfort people when the pain and suffering is beyond their capacity to understand. The mystery behind suffering makes life more miserable and makes us feel ditched that God has no more connection with his people. The proposed explanations for the problem of pain are unacceptable and inapplicable in terms of causing such undeserved pain. Kushner opines that undeserved pain cannot be compensated by the future wonderful ultimate result. Neither such suffering can be granted as educational nor as an element for measuring one’s faith, no matter how good of a hidden purpose it may carry. Reasoning “is meant primarily to defend God, to use words and ideas to transform bad into good and pain into privilege”. Those who are suffering cannot be convinced and comforted with mere words. Having said this, he demands a response for his question, “If we cannot satisfactorily explain suffering by saying we deserve what we get, or by viewing it as a “cure” for our faults, can we accept the interpretation of tragedy as a test?” If the test of faith is more about knowing how strong we are, then it is better not to be strong in order to lose someone and suffer. Many people have been devastatingly failed their test for not being able to carry the burden that God has put or allowed to be put upon them. If his promise is to burden to the extent that people can bear, then he is either a Being without proper knowledge or does not have ability to calculate accurately the capacity of resistance that his people can undertake. As a result, people have terribly failed to carry the burden. All the proposed proponents have one thing in common – “God is the cause of our suffering”. It also could be that God is not the cause of our suffering. In spite of God’s unwillingness to cause us to suffer; someone is acting against the will of God to instigate pain and suffering in our world. Could it be that God has no part in allowing us to suffer? Therefore, it is a wrong question to ask God why he allowed us to suffer.